Are you a graduate? Are you perplexed in choosing the right career and respective competitive exam? 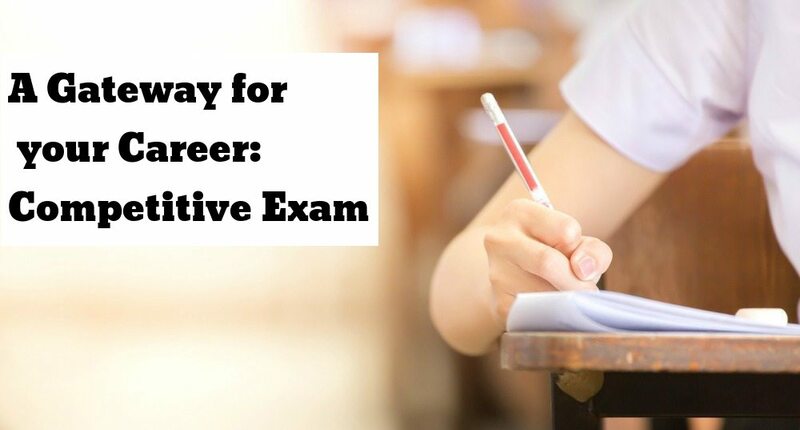 Then here is a deep guide about competitive exam and how it helps you to get into your dream career. Everyone has their own dream to reach their goal. But, there are entrance tests for all professional courses which has to be cleared to get into your wished course. A competitive exam is considered as a bridge that helps you to get through a tough way to reach your desired career goal. These exams ranks a candidate in that particular subject and gives the result whether he/she is eligible for entering into the course. Competitive exams also called as entrance exams are conducted for all professional courses like either UG or PG courses. For any competitive exam, there are millions of candidates attending the exam. So, in order earn a seat in the desired university and course, candidates have to clear these exams to . For anyone to crack these exams, hard work, dedication and preparation is necessary. Preparing for a any kind of competitive exam is made easier through books available online. One can avail all types of competitive exam books online in no time. You can buy or download e-book and read later. As learning is digitized there are lot of opportunities for anyone to clear any competitive exam easily. Apart from just reading, digital books have made the subjects easily understandable. Books include images, graphs, charts, interactive videos to help students grasp concepts quickly. Students can visit these sites or install mobile apps to avail the necessary study materials. These exams check your capability and how much knowledge one is having on the subject. Based on this candidates will be ranked and offered a course respectively. One has to be dedicated towards the exam and prepare well. There are websites which offer free mock tests to test your knowledge on the subject. After reading and preparing yourself for the exam you can take up the mock test. These mock tests help in preparing yourself for the main entrance exam. You can be confident enough to attend the main exam without fear of not clearing. With cent percent hard work and zeal anyone can clear the competitive exams undoubtedly. It is not necessary that there should be an individual coaching for cracking exams. Instead you can make use of the websites, digital books, or buying books online to study and prepare for any entrance exam. Next story Why to Choose Digital Books over Traditional Books?